Remodeling your kitchen is an investment in your home that will also be enjoyed by you. Replacing your old appliances with energy efficient kitchen appliances, or replacing your drafty kitchen windows can also save you money. 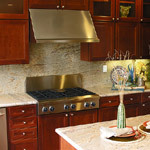 Kitchen Appliances – Ovens, stoves, cook tops, refrigerators, dishwashers, range, microwaves, hoods, and exhaust fans. Kitchen Cabinets – Wood cabinets in oak, maple, cherry, hickory, pine, birch, metal and plastic, as well as kitchen storage items and kitchen islands. Kitchen Countertops – Stone, marble, quartz, granite, solid surface, wood, metal, and Formica countertops. Kitchen Flooring – Hardwood flooring, cork, bamboo, laminate, linoleum flooring. Installation, repair and refinishing your floors. Kitchen Lighting – Light controls, chandeliers, fixtures, lamps, fluorescent lights, recessed and spot lighting. 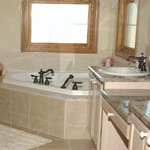 Kitchen Sinks and Fixtures – Faucets, stainless steel, brass, plastic and glass handles. Kitchen Windows – Skylight windows, double hung and single hung windows, casement and garden windows for growing herbs and plants..
Seize the opportunity to remodel your outdated bathroom into the chamber of your dreams. Not only will you enjoy the improvement while you live in your home when you’re ready to sell, prospective buyers will not dismiss your home as outdated. And you never get a second chance a first impressions. 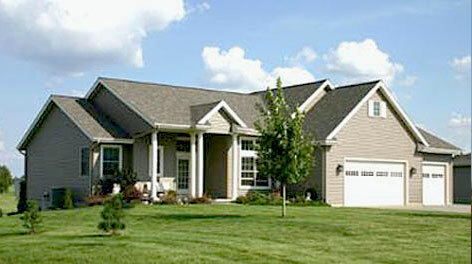 Noble Construction also builds custom decks, sunrooms, and porches. All work is professionally designed and built with quality materials at very competitive prices. We have many satisfied customers with a quality custom built deck, patio, arbor,covered patios, porchor gazebos. 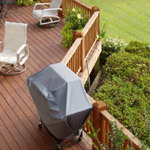 We take pride in every deck project and strive for total satisfaction and pleased customers. We build custom cedar wood and composite decks designed to provide function, seating, storage, shade, and offer a high return on your investment. If you are looking to build a new deck patio gazebo or arbor, Noble Construction will be pleased to assist you in designing your backyard dream deck. Whether its building a deck around an in-ground pool or above ground pool or your home, we offer competitive pricing, top quality materials and workmanship, but most of all the peace of mind that your project pool spa deck patio project will be built right! Have you ever dreamed of adding a sunroom to your Iowa home that puts you outdoors? If you’re considering a sunroom that combines the beauty, durability and thermal efficiency of vinyl, we can make your dream come true. Sunrooms offer a rare combination of practicality and whimsy. A sunrooms dominance of glass creates an ambiance, which lends itself to countless uses. Contrary to popular belief, a sunroom is not only limited to territories that enjoy warm weather. The sun rises in every part of the world, and even if it’s cold outside, the warm rays of the sun can be harvested to provide the right kind of temperature for the sunroom.